On July 7, 2017, Delaware Department of Justice officials announced the sentencing of a man who pled guilty in February to a number of Drunk Driving related offenses, including first-degree vehicular homicide. According to Wilmington’s WDEL 101.7 FM radio news, the offender will spend five years in prison after causing a crash that killed a New Castle, Delaware man. The collision occurred when the man was driving along a state highway and crossed the center line, striking another vehicle. The motorist in the other car sustained extensive injuries and died eight days after the incident, highlighting the circumstances under which a Drunk Driving charge can be elevated to a serious felony. 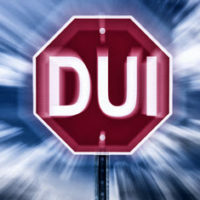 Therefore, it is critical to retain an experienced Delaware DUI attorney to protect your rights in a similar situation. First Degree: The more serious charges apply if you cause death while operating a vehicle in a criminally negligent manner and are under the influence of alcohol or drugs. Criminal negligence is defined as failing to perceive a risk that death could result from certain conduct. The risk must be of such a nature and degree that failure to perceive it constitutes a gross deviation from the standard of conduct that a reasonable person would observe in the situation. It is necessary for a prosecuting attorney to prove causation in order to obtain a conviction for Vehicular Homicide. Therefore, a driver can only be convicted if there is a direct link between a driver’s negligent driving and the victim’s death. The consequences of a conviction for Vehicular Homicide depend on the degree of the crime and the specific circumstances of the case. In general, you may be facing significant penalties. Because first degree vehicular manslaughter is a Class C felony, you may be sentenced to up to 15 years in prison, a fine, and a four-year driver’s license suspension. There is a minimum 2 year jail sentence which must be imposed. Delaware law treats any Drunk Driving charge as a serious matter, but the consequences of causing death or serious injury while impaired are even more severe. Therefore, if you are facing a charge for causing death or serious injury as a result of a car accident, it is paramount to secure legal representation by an experienced criminal defense attorney. The legal team at the Law Office of Michael W. Modica in Wilmington, DE has extensive experience in Drunk Driving matters and will provide aggressive and seasoned representation. Please contact us with questions or to schedule a free consultation with a lawyer.